Peter and his partner are passionate about wine and about learning about wine. The Cape Wine Lovers’ Society shares our passions with other enthusiasts. We aim to inform and broaden your appreciation of all wines in a spirit of fun and adventure. Peter was an active member of a wine-tasting society in England. He was surprised to find there was no equivalent get-together in the Cape Region, other than clubs that visited wine estates or met in restaurants, educational courses, or merchant tastings. So, He decided to start his own tasting society. We are not tied to any vineyard or supplier and shall explore wines of different varieties and from any region or country. Peter is continuing his study with the Cape Wine Academy. 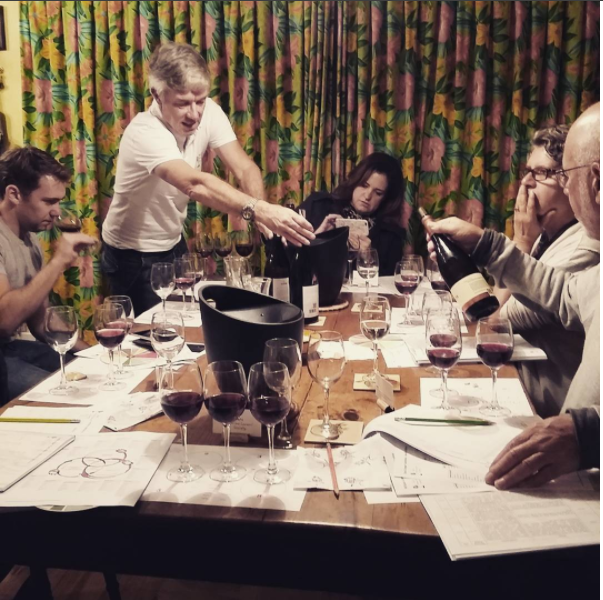 He passed the 3 day Certificate Wine Course and has completed the first (of four) modules of the 2 year Diploma Wine Course that covers wines of the World. The Cape Wine Lovers’ Society meets at least monthly in the Southern Suburbs, Cape Town. Novices and experts are equally welcome. We will help you learn how to taste wine and to identify the different wine varieties. Handouts will be provided at each meeting and you will have the opportunity to buy any of the wines selected. A snack platter is also provided. We charge a reasonable rate to cover our costs. Each meeting has a special theme. This may be a South African growing region, style of wine (white, rosé, red), rare grape varieties, specialist wines (champagne, dessert, fortified, brandy), wines of other countries, or other. Our journey together will also focus on related topics such as pairing wine with food, how to choose the wine in a restaurant or to take to a braai, low v high-cost wines, wines for keeping and more. Thursday 5 April Introduction to Wine-Tasting – It’s Fun! This is a repeat of one of the most enjoyable and successful tasting evenings by the Cape Wine Lovers’ Society. I assume no knowledge – it’s great if you have though too – as we sample 6 wines: 3 white and 3 red wines, all from the nearby Constantia Valley. Do you know your Sauvignon Blanc from your Chardonnay? Or a Chenin Blanc? What about a Shiraz? Is this the same as a Syrah? How do you tell a Cabernet Sauvignon from a Merlot? How do you even taste wines in the first place? I’ll be sharing tips and tricks to help you enjoy your wines. Please come along and enjoy an evening of fun and learning. Bring your friends too! More details are here. All material on this site is copyrighted. Please do not reproduce any without permission.